These classic paper snowflakes can be used in a variety of ways: Hang them up as decorations around the house, stick them onto greetings cards and even use them to decorate your wrapped Christmas presents. 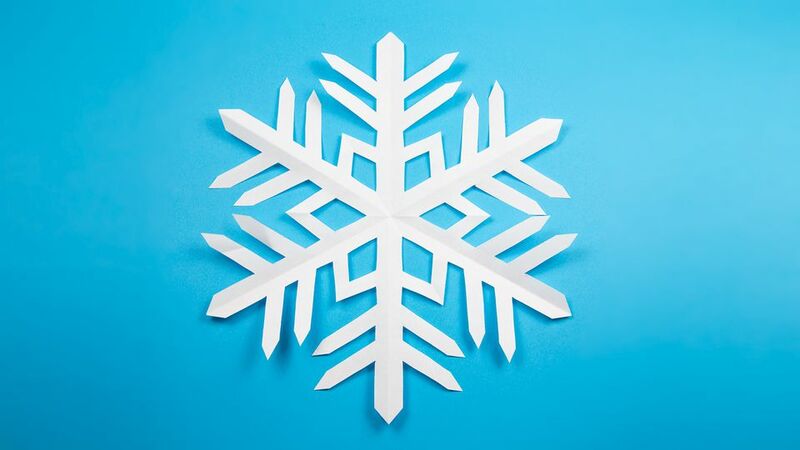 Of course, there is no way to create a "cutout" snowflake in origami–once the cuts are made, it officially becomes "Kirigami" and not Origami. This method of creating a hexagon is used in origami quite often, whilst making flowers, stars and coin purses. If using printer paper, make sure you first cut it to a square shape, you can easily do this by diagonally folding one of the short edges to align with the opposing long edge and cutting off the excess. Start with your square sheet of paper. Bring the bottom edge up to align with the top edge and create a small crease on the right edge. Next, bring the bottom edge up to meet the crease you just created and make another small crease on the right edge. Now you should have a mark at the 1 1/2 quarter way point on the right edge. Rotate the paper counterclockwise and fold the paper in half diagonally. Make sure your marks are on the top right slanted edge. Fold the triangle in half from left to right and unfold. Pick up the paper and re-crease the crease that is halfway between the top point and bottom right point to include the layer behind. Fold the right section diagonally up to the left. The crease should start from the bottom of the vertical crease in the center. Align the crease (you re-folded in the last step) with the crease that's on the layer behind. Flip the paper over to the other side. Fold the right section diagonally up to the left to meet the left diagonal edge. Note: If your edges do not align properly, don't worry too much, if you want to fix it, just re-fold the paper until it matches better. Fold the right side of the paper behind–this central crease already exists so just re-fold. Now you can draw your snowflake design with a pencil. You don't have to draw one, you could just start randomly cutting and come up with some great shapes. However, there are plenty of snowflake designs to choose from online–Pinterest, for example, has a great selection. You can also copy the design in the last picture. The design must stop where the layers end. 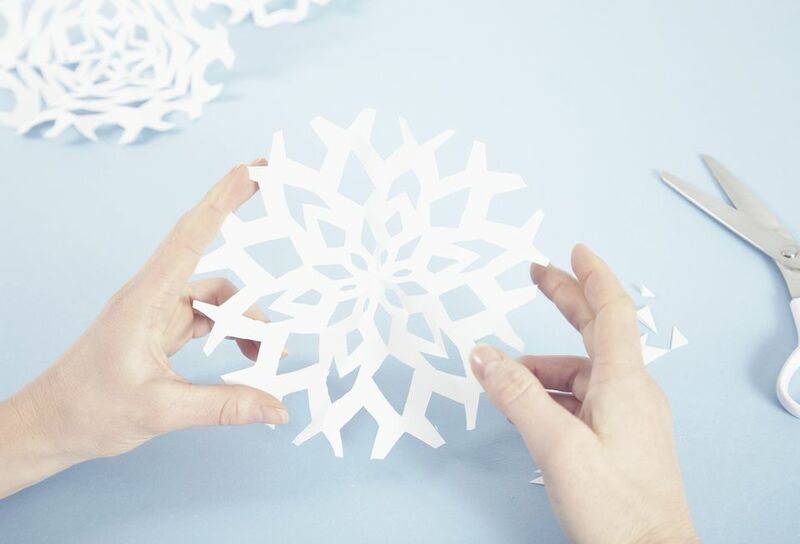 Cut out your snowflake design. Using small, sharp scissors is best so that you don't accidentally cut further than you want to. If you can still see your pencil drawing, rub it out with an eraser. Open out your snowflake. It's now ready for you to use in your festive decorating projects! How to Make an Origami Tulip Flower & Stem!